A wedding is one of the best days as it marks the beginning of another exciting stage of life. Organizing a wedding involves acquiring a lot of items and articulate planning just to make sure everything is perfect on your special day. However, when the party is over, you end up with a lot of remaining wedding items that you need to figure out what to do with. Should you be wondering what you can do with the many items that made your wedding a success, we have great tips and suggestions for you. In recent times, there is a lot of emphasis on environmentally friendly disposal or recycling of items in order to keep the earth clean. The wedding industry has also embraced an eco-friendly approach especially when it comes to the disposal and re-use of wedding accessories. Below are great suggestions of how you can creatively reuse and recycle your wedding items to avoid wastage. A wedding dress is the most treasured item for any bride and not many would want to let go of it. However, finding a permanent place in the closet to keep it can prove tricky, especially if you don’t have a lot of space. One great way of re-using your wedding gown is to have your tailor redesign it and dye it. This way, it can be used as a cocktail or evening dress, making it useful for you once again. Alternatively, use parts of the dress to either make a fun skirt, a baptism gown for your kids or better yet, use the remaining pieces to make various décor items such as pillows. Some brides choose to donate their wedding gowns to a charity to help out brides from disadvantaged backgrounds who cannot afford to rent or buy a gown. You can also give out your gown to a relative who is planning a wedding. Whichever idea you decide to choose, there are numerous ways your wedding dress can be recycled. One of the most popular ways of disposing of a wedding gown is to sell it and recoup your investment. Flowers are perishable so many of you might be wondering how they can be reused after a wedding. 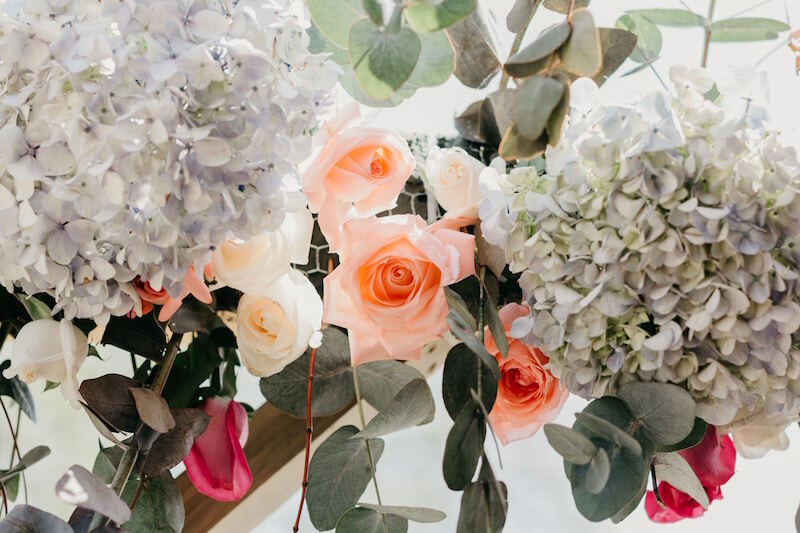 Surprisingly, you don’t have to immediately throw away your flowers after a wedding. After beautifully decorating your wedding, flowers can be given out to guests who would love flowers and don’t mind taking them home. Alternatively, they can be donated to local nursing homes and hospitals. Some couples choose to use flowers to decorate other post-wedding parties and activities celebrated with close friends and family. In the case of vases, take them home as you can use them to keep other flowers. There are so many ways flowers can be used even though it’s not on a long-term basis. However, this doesn’t mean you should throw them away immediately after your wedding. Wedding decorations and centerpieces can be used in various ways depending on their style and design. Centerpieces can be transformed into vases, candle stands and jars. On the other hand, various kinds of decorations can be used to decorate your home depending on what kind of item it is. Even though wedding decoration items subscribe to specific kinds of themes, this doesn’t mean you can’t use your décor to spruce up your house. Use the internet to check for unique ideas on how to beautifully decorate your space using recycled wedding centerpieces and décor. During the planning of a wedding, a lot of stationery is purchased to accomplish different tasks. Paints, inks, stamps, and embellishments among other items can be distributed to local schools or disadvantaged children homes. Wrapping papers, as well as left-over invitations, can be made into gift bags depending on their design and nature. Instead of throwing away stationery, find creative ways of utilization and keep your wedding memories alive. Previous wedding invites can be transformed into unique photo frames, wall hangings, and gift cards. Prettily designed stationery can also make awesome gifts for kids. Shoes are an important wedding accessory that many couples, unfortunately, do not end up using. What many don’t know is shoes are amongst the easiest wedding items you can put to some other use after your special day is long gone. Shoes are definitely easy to put on especially if you choose a color and design that you can easily adapt for other uses. White or ivory shoes can be challenging to reuse but all is not lost, you can have them dyed to use them for other occasions. Suits are one of the best items that can easily be reused after your wedding has passed. It is advisable to choose groom and groomsmen suits that can be used for future formal occasions. This way, you get better value for your money as you don’t need to store your suit for good. Buying a wedding suit shouldn’t limit you from using it in the future. Alternatively, you can also sell your suit or give it out to a friend or relative who may be planning for a wedding; however, this can only work if you wear the same size. Food is one of the major items on any wedding list and program. As a special occasion, a lot of emphasis is placed on having good quality food. However, what happens when after the ceremony is completed you still have extra food? 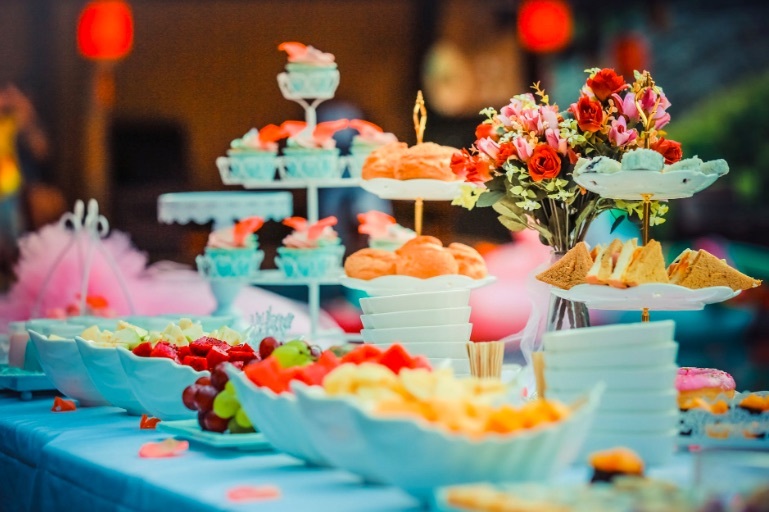 Instead of throwing it away or letting it go to waste, you can make prior arrangements with your caterer to have any excess food transported to a local food shelter or served to people who may have not had an opportunity to enjoy a delicious meal. This is not only a good way to properly dispose and reuse, but it is also a positive gesture that will be appreciated by those in need. As you can see your wedding items don’t have to go to waste, with a little creativity and planning. You can the use of almost all the items you used in your wedding.